The nitrogen (N) cycle is likely to accelerate under future climate change. Leaf δ 15 N enrichment factor is an indicator of N status in young Cunninghamia lanceolata (Lamb.) plantation ecosystems. Given that N dynamics across the plant-soil continuum respond more strongly to N addition during the dry season when N leaching is minimal, fertilization during this period represents an optimal strategy for improving soil fertility. The effects of N deposition on N dynamics across the plant–soil continuum in subtropical regions are poorly understood. We investigated the effects of N addition on the N dynamics across the plant–soil continuum in young C. lanceolata plantations in different seasons as well as the effects of N addition on the soil microbial community. During the dry and wet seasons, we measured the concentrations of soil inorganic N, dissolved organic N in soil solution, leaf and root N concentrations, and stable isotope abundances, and soil microbial community characteristics. Short-term N addition decreased the levels of inorganic N, dissolved organic N, and leaf N concentration in the dry season; root N concentration was significantly higher in the high N and low N addition plots. Irrespective of treatment, the NH4+/NO3− ratio was higher in the wet season than in the dry season. The δ15N enrichment factors of the leaf and root in our experiments were closer to zero for all N addition treatments. Redundancy analysis revealed that the variation in the soil microbial community had low correlation with pH. Nitrogen dynamics across the plant–soil continuum respond more strongly to N addition in the dry season. High N deposition in N-saturated subtropical forest soil may rapidly increase leaching, particularly during the wet season. Nutrients in roots are more sensitive to changes in soil nutrient availability than those in leaves. The microbial community is primarily regulated by nutrient availability in the soil rather than by pH. 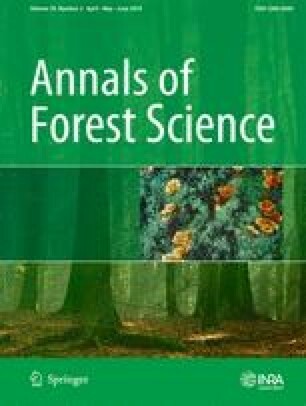 We thank anonymous reviewers and editor for their constructive and thoughtful comments on an earlier version of this manuscript. We also thank Zhijiang Liu for his help for the Soil N mineralization experiment, as well as Zhijie Yang, Decheng Xiong, Xiaofei Liu, and Chao Xu for his help for the field sampling and platform construction. Qiufang Zhang and Jiacong Zhou contributed equally to this article. Qiufang Zhang, Jiacong Zhou, Xiaojie Li, and Wei Zheng performed the experiment. Weisheng Lin supervised the experiment. Chengchung Liu and Yuehmin Chen provided advices on how to write the paper. Qiufang Zhang and Jiacong Zhou run the data analysis and wrote the paper. Yuehmin Chen and Yusheng Yang supervised the work. The article was founded by National Natural Science Foundation of China (No. U1505233, 31,670,620, and 41,401,555).